Are engagement photos worth the additional cost? 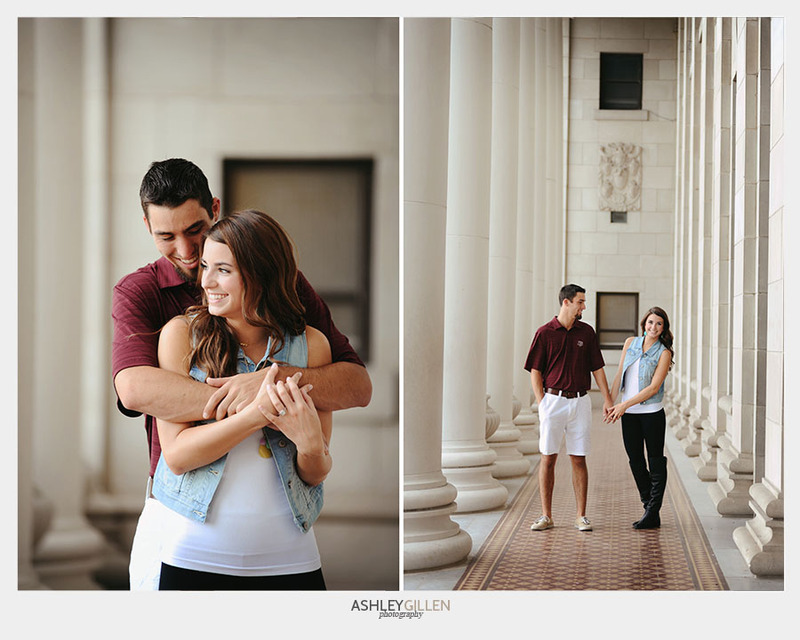 While many couples have engagement photos taken, what is the point of engagement photos? In this article, you will learn just what your engagement photos can be used for and what other couples are saying about them. While a number of couples think engagement photos are unnecessary and just a waste of time and money, there are some things that will make you second guess the importance of having engagement photos taken. 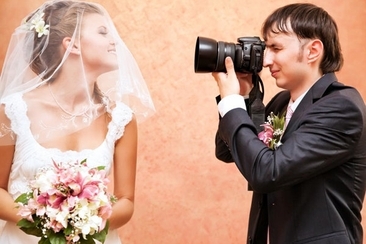 Having professional photos taken can help you better prepare and know what to expect for your wedding day photos. This can give you a huge advantage in knowing how to pose without feeling cheesy or like you have the biggest fake smile plastered on face. Your professional photographer can help you feel more comfortable and confident when taking photos together as a couple. A majority of couples tend to find this pre-wedding day photo session incredibly valuable and allow them to focus more on celebrating their wedding day instead of how their photos are turning out. 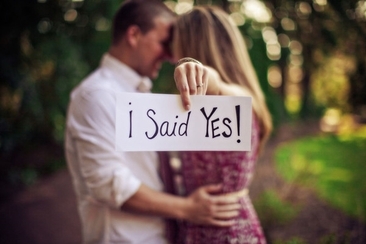 If you already have a photographer chosen for your wedding, ask them shoot your engagement photos. This can allow you to build your relationship with your photographer and will let them be able to more perfectly shoot you as a couple. Through your engagement session, your photographer will be taking notes that will greatly assist them in capturing the perfect moments on your wedding day. When considering "What is the point of engagement photos?" consider the advantage you get by being able to review the work of your photographer prior to the wedding day. By being able to see these images far ahead of the wedding photos, you can give your photographer feedback on the images they have taken of you to let them know what angles and other things you like or dislike. This is also a great opportunity to give your hair and make-up a test run and to see how it will all look in your images. Engagement photos can be taken from just about anywhere and choosing a personal location to you and your fiancée can remind you both of the love you share. Whether it is the place you had your first date or where you guys go to just spend some time with one another, your engagement session can have you falling in love all over again. Some places couples have chosen for their engagement session have included their hometown, where they first met, favorite restaurant, the zoo, museum or in their own homes. 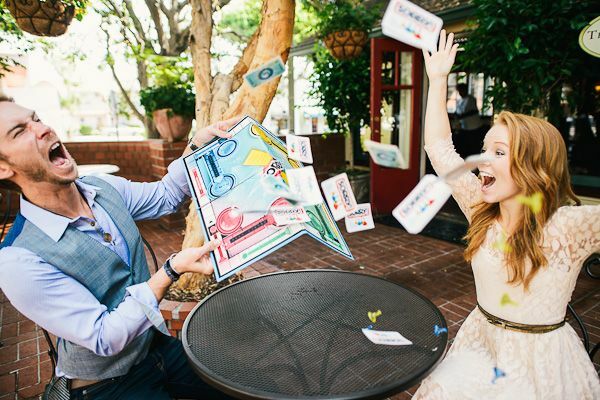 Your engagement photos can be used in a number of ways. They can be sent out as small gifts to your family members: Parents always love receiving these types of images of their children. They can be arranged into books for your coffee table, wall art or a collage to display in your home. 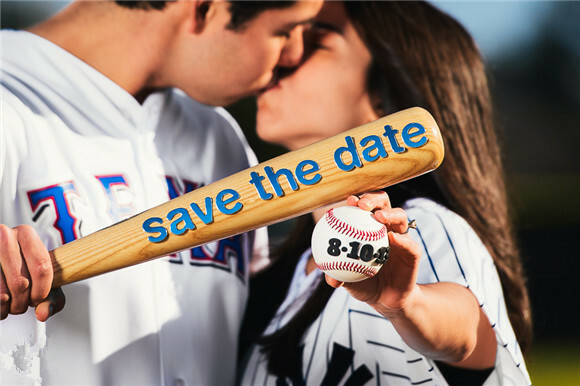 This is also the perfect images to send into newspapers to announce your marriage and many couples use their engagement photos for save the date cards. They are also often included in the wedding program or invitations. What is the point of engagement photos? They can be a great way to capture the love you share with your new fiancée. After reading the above contents, you may just can't wait to take it. 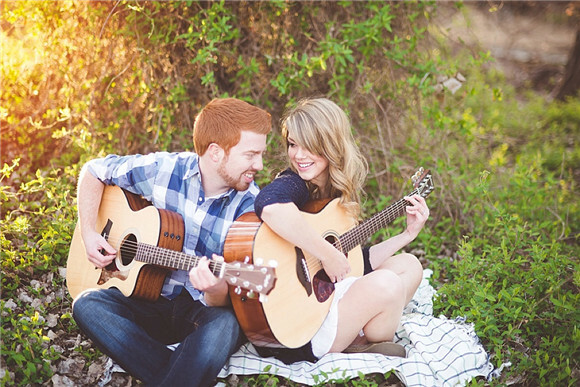 These 20 engagement photo ideas offer some unique suggestions to begin with. A wide open space, flowers, and natural lighting can create the perfect setting for engagement photos. 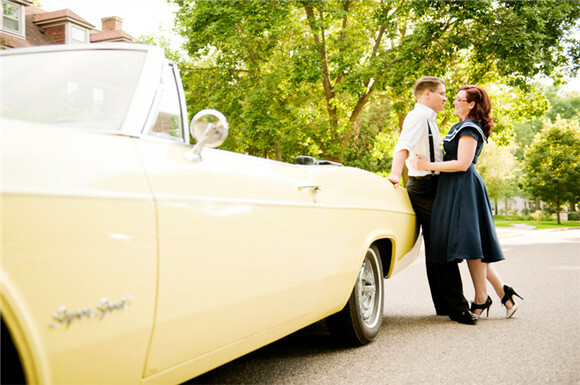 Whether you use the cab of a pick-up truck or pose in front of an antique ride, a car can offer a number of intimate engagement shots. Let your dogs or another pet share in the photo opportunity with you and your significant other; just make sure to choose a photographer that has experience shooting animals. 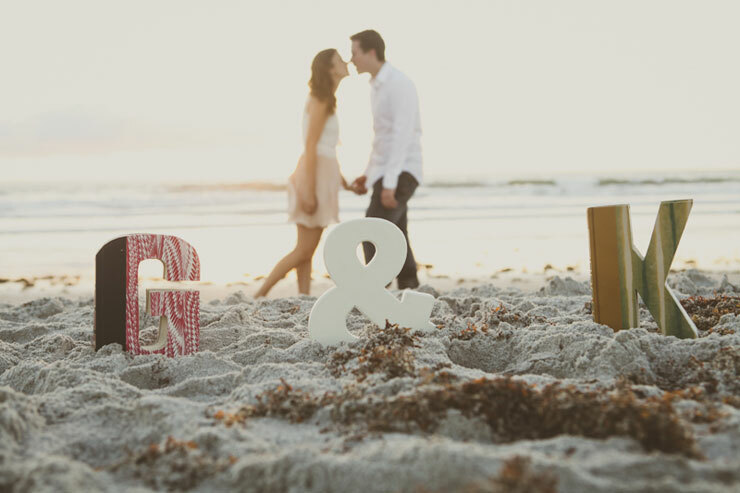 The beach offers a number of perfect opportunities for your engagement photos and writing in the sand can add an additional personal touch. If you are thinking about going with a rustic wedding theme, then taking your engagement photos in a large barn is the ideal setting for you. 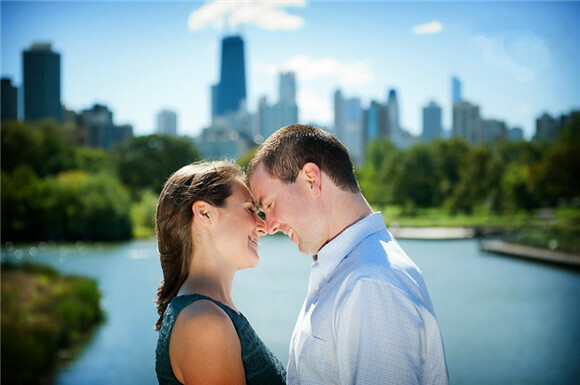 Most areas have their own pond or small lake which offers a truly romantic setting for your engagement photos. 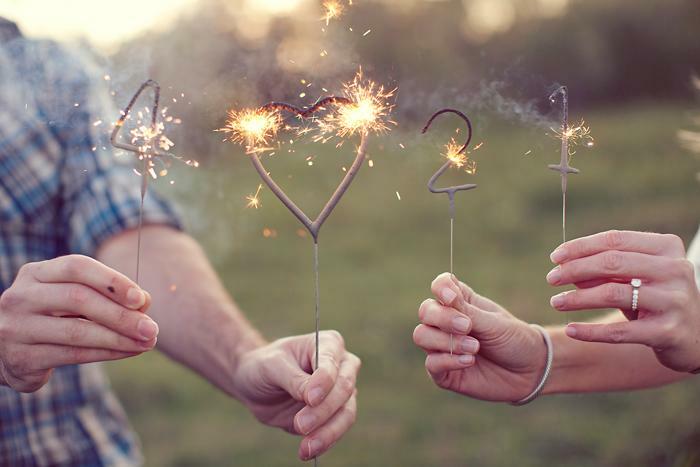 Taking you images as the sun is going down and lighting some sparklers can be a fun way for you to have your engagement done. If you and your fiancée have a favorite board game you always play, you would be surprised by how many unique and fun images you can get from this simple activity. What is the point of engagement photo? Of course you two! This kind of setting with simple white T-shirts will let people keep an eye on you while feeling your happiness. Bowling, hunting, playing the guitar or any other hobby you and your significant other share is a great way to capture your personalities and add in some cute or funny quotes. If you live in a big city, simply walking the streets can lead to some amazing photo opportunities, especially if there is street art. Your engagement photos do not need to be extravagant, some of the most memorable ones will be the ones where you two are just enjoying each other's company. 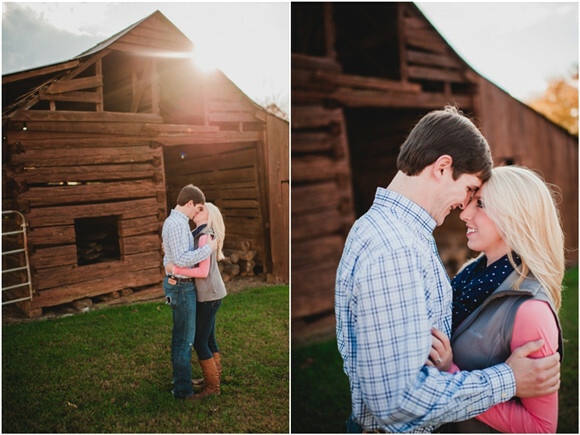 Campfires, the woods and maybe some mud can offer a lot of variety for engagement photos. Maybe it’s a place where you went on your first day or just a hidden hangout you guys go to relax, choosing a location you are familiar with can help you be more natural and relaxed during your engagement session. Less is more sometimes and an empty room with no furnishings can offer a blank canvas for you and your photographer to work with. What is the point of engagement photos? To let everyone, know when the wedding will be! 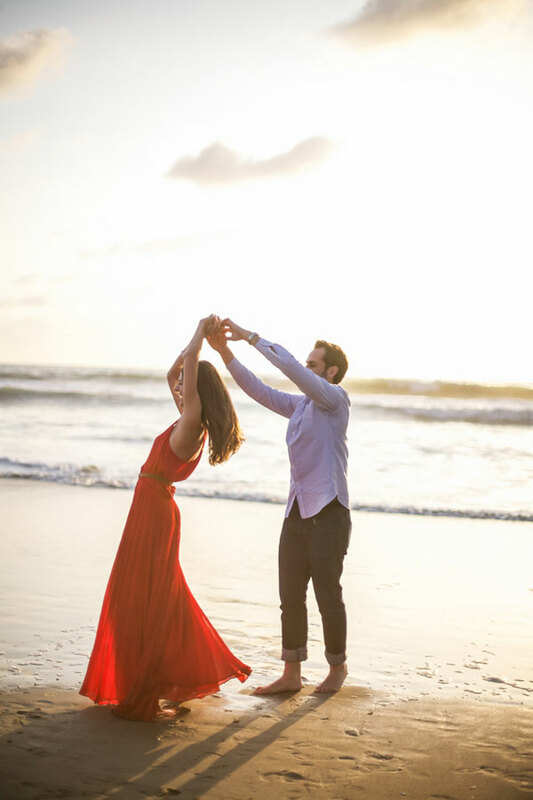 You don’t have to be so serious with your engagement photos either, don’t be afraid to have some music on and dance while your photographer gets some great shots. Whether it's outside the main building or in an empty lecture hall, the college where you and your significant other met can be a great reminder of how you two got started. A vacant dirt road or newly pressed path can be a subtle way for you to signify the new journey the two of you are about to start on. 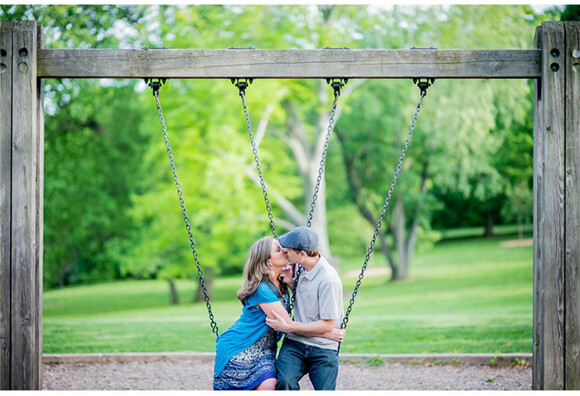 If you just want your engagement photos to be fun, then simply head to your local park and tap into your inner child by swinging on the swings. Too many outfit choices for how to dress for engagement photo. Our comprehensive engagement fashion guide will help you narrow them down for the perfect photos, for every scene! 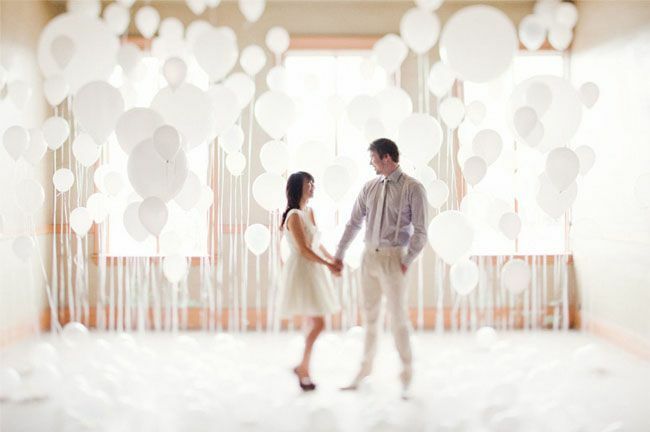 Engagement photo outfits can enhance the beauty of your images or leave you with photos you want to hide. 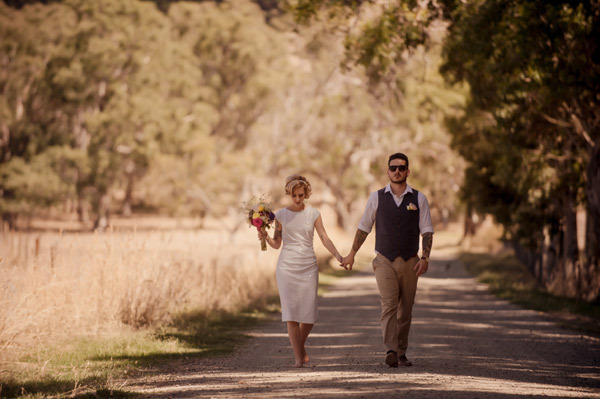 Learn 10 tips of choosing right outfits for engagement photo. 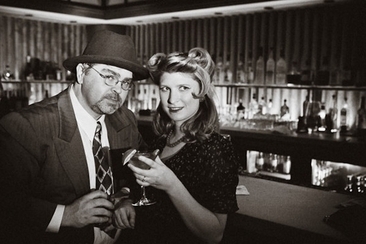 Need to come up with a theme for an engagement photo shoot? Try Toontown Roger Rabbit for a hilarious and unique take on tradition and expressing your love. With our list of best questions to ask wedding photographer, you’ll be able to fill up your wedding photo album with shots with the best possible photographer you can find. 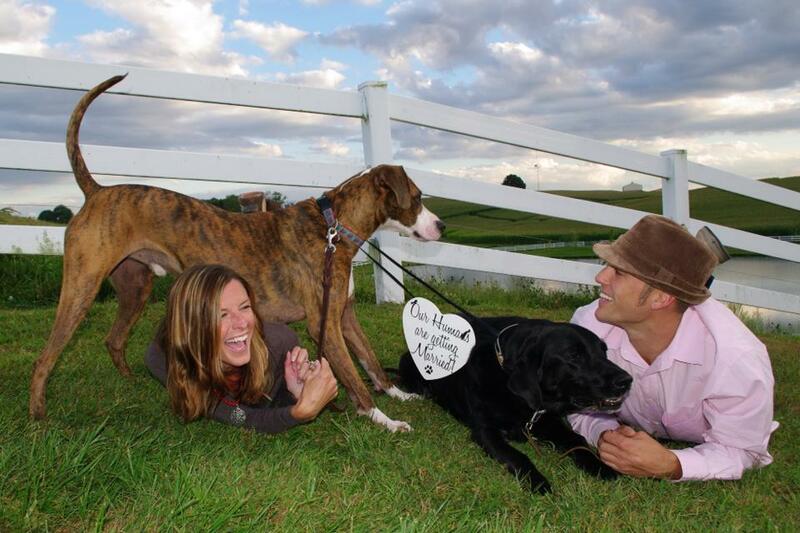 Engagement photo prices can vary from area to area. This article will help give you a better idea of how much you can expect to pay for your engagement photos.